Being under investigation for or charged with health care fraud can have a catastrophic effect on a Portland provider’s reputation, career, and livelihood. If you have been charged with health care fraud, you need to call the experienced federal health care defense team of Oberheiden, P.C. Our attorneys have decades of experience defending business entities and medical providers targeted by fraud prosecutors. Multiple federal agencies, including the FBI, the Department of Justice and the Office of the Inspector General are always on the lookout for health care providers who are violating federal laws. Health Care fraud leads to billions of dollars in losses to the federal government every year and the federal agencies are dedicated to prosecuting those who cause these losses. Due to this aggressive stance of the federal government on health care fraud, it is critically important that you hire an experienced and well-trained attorney if you find yourself under investigation for fraud. (2) to obtain, by means of false or fraudulent pretenses, representations, or promises, any of the money or property owned by, or under the custody or control of, any health care benefit program. (b)With respect to violations of this section, a person need not have actual knowledge of this section or specific intent to commit a violation of this section. billing a federal health care program for a more complex service than was actually performed. Anti-kickback laws: Anti-kickback laws are designed to punish health care entities and providers who pay for the referrals of patients who receive benefits from Medicare. Stark Law: This law makes it illegal for health care providers, mainly doctors, to refer patients for services at an entity in which they have a financial interest. Controlled Substances Act: The laws under this act give the Drug Enforcement Agency the power to investigate entities and providers who are illegally prescribing or selling medications. False Claims Act: The laws under this act are not specific to health care fraud but allow the prosecution of those who intentionally overcharge the government including Medicare for services. 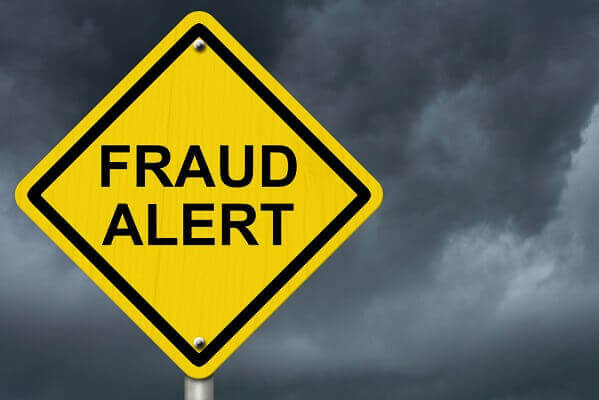 Although health care fraud is often prosecuted at the federal level, there are state laws in Oregon that allow health care fraud to be prosecuted at the state level as well. Medicare is a federally run program, but Medicaid is both a federal and state program. Since Medicaid is funded partially by the state of Oregon, health care entities and providers can be prosecuted at the state level for Medicaid fraud. The Oregon Medicaid Fraud Unit is responsible for prosecuting Medicaid fraud cases; therefore, it is of upmost importance that you speak with an experienced Oregon Medicaid fraud defense lawyer at Oberheiden, P.C. if you are under a state investigation. Our Experience: At our firm, we have successfully handled thousands of cases involving health care fraud, from the simple to the complex. Some of our team are former federal prosecutors who understand the intricacies of health care fraud and know how the other side works. Our team of attorneys is trial tested and has tried over 500 federal trials. Together, our lawyers have over 100 years combined legal experience in federal health care matters. Our Proven Track Record: Our lawyers have helped hundreds of health care entities and providers secure favorable outcomes in fraud cases, even when it seemed like all hope was lost. We have helped clients avoid criminal charges and have been able to stop criminal investigations before they progressed to an indictment. We have also negotiated large fines down to nominal amounts and most importantly, for no prison time as a result of a conviction. Oberheiden, P.C. relies on proven strategies to help our clients achieve successful outcomes. Our Representation is Customized: No fraud case is the same. Oberheiden, P.C. implements customized strategies that best fit our client’s unique case. There are a multitude of options that are explored at the onset of a client’s case, and our lawyers are dedicated to finding the best solution to cater to our client’s individual needs. If your Portland health care business, practice, or organization is currently under investigation, please call Oberheiden, P.C., to schedule an initial consultation with a skilled Portland health care fraud defense attorney. Our team can immediately get started on your case to mount an aggressive defense or help you create a compliance program. We have over 100 years of combined experience in defending clients against charges that can result in imprisonment, significant monetary fines, and damage to their reputations. Call us today at (888) 519-4897 or onlinecontact us online to schedule your confidential consultation.